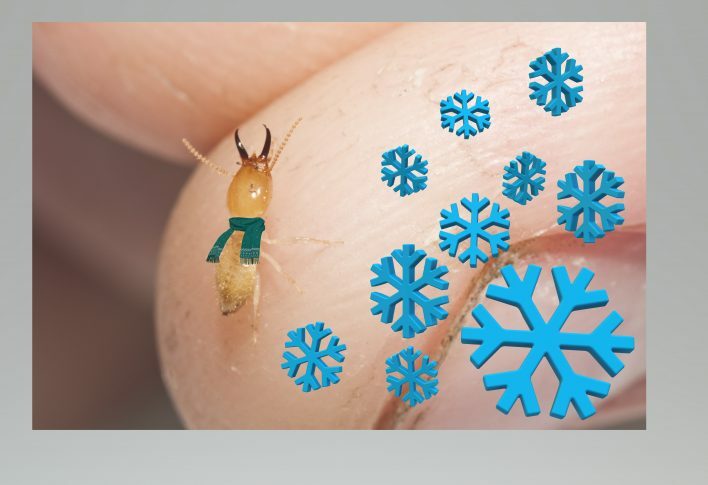 Where are those termites in winter? Here in the Brisbane area you don’t see them flying around during our “cooler” months. Just because termites don’t swarm in winter doesn’t mean they are asleep. They are certainly alive and well, and in the hunt for that precious wood in your house. Termites, as other insects, need to be warm to function, and their nest is their heated safe haven. Subterranean termites keep warm by not exposing themselves to the elements. They build tunnels and work their way underground towards their food. At winter this takes longer than in summer, but they are still out and about. There are no safe seasons for your home. Termites are in constant need of cellulose to feed their colony. Cellulose is the component in wood that most animals cannot break down and digest. Termites on the other hand have an interesting collection of gut bacteria that are up to the task. As the climate in south east Queensland remains quite warm year round there is not much difference for the queen in the colony. She continues to lay her egg throughout the year. Much like the termites in winter, Michael and his team at Termite Guys Brisbane work all year round. 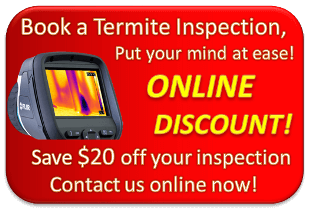 Click here for more information about winter termite treatment.